Franklin Avenue: ABC's Fall Includes Moves for "Grey's Anatomy," "Scandal," "The Goldbergs" and "Agents of S.H.I.E.L.D." ABC's Fall Includes Moves for "Grey's Anatomy," "Scandal," "The Goldbergs" and "Agents of S.H.I.E.L.D." 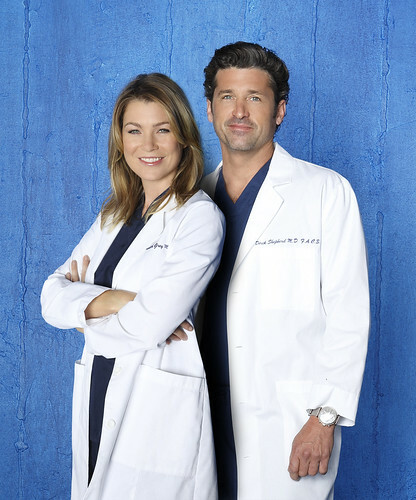 ABC is sliding “Grey’s Anatomy” and “Scandal” down this fall to make room for creator Shonda Rhimes’ latest series. “Grey’s Anatomy” will move to 8/7c, followed by “Scandal” at 9/8c, in order to launch new drama “How to Get Away with Murder” at 10/9c. That sets up an all-Shonda Rhimes night for ABC, and potent female-driven counterprogramming to CBS’ Thursday Night Football. “How to Get Away With Murder” is a legal thriller starring Viola Davis as a law school professor. It's a big day for Rhimes, who just sealed a new major overall deal with ABC Studios. The “Grey’s Anatomy” move is a bit of a surprise: The show continues to do well in its usual 9/8c home — and given its racy content matter, ABC has been hestitant to move the show into the 8 p.m. hour. But ABC has traditionally struggled to launch new shows on Thursdays at 8, and “Grey’s” will also give the network a strong competitor to CBS’ powerful comedy “The Big Bang Theory” once football ends. ABC’s other big move: On Tuesdays, the network will launch two new comedies, “Selfie” and “Manhattan Love Story,” at 8/7c, and move “Marvel’s Agents of S.H.I.E.L.D.” to 9/8c. It will then use “S.H.I.E.L.D.” to launch new drama “Forever” at 10/9c. “Forever” is a medical mystery drama with a twist: New York’s star medical examiner (Ioan Gruffudd) is immortal. “Selfie” stars Karen Gillian as a social media star who actually has no friends. “Manhattan Love Story” is a romantic comedy about a new couple. ABC’s other new fall comedy is “Cristela,” which will air Fridays at 8:30/7:30 behind “Last Man Standing.” “Cristela” stars Cristela Alonzo as a young professional balancing her work life and her home life. New shows also include “Marvel’s Agent Carter,” which will air in “S.H.I.E.L.D.’s” timeslot between the show’s fall finale and winter premiere. And new fantasy musical “Galavant” will air during “Once Upon A Time’s” winter hiatus. Other shows on the bench for midseason: Dramas “American Crime,” “Secrets and Lies” and “The Whispers,” and comedy “Fresh Off The Boat”.